In 1943, Bures WI in Suffolk West Federation proposed a resolution calling for ‘equal pay for equal work’. This campaign followed a debate on equality that had been rising during the years of WWII. For many years the WI was then represented on the Equal Pay Campaign Committee. 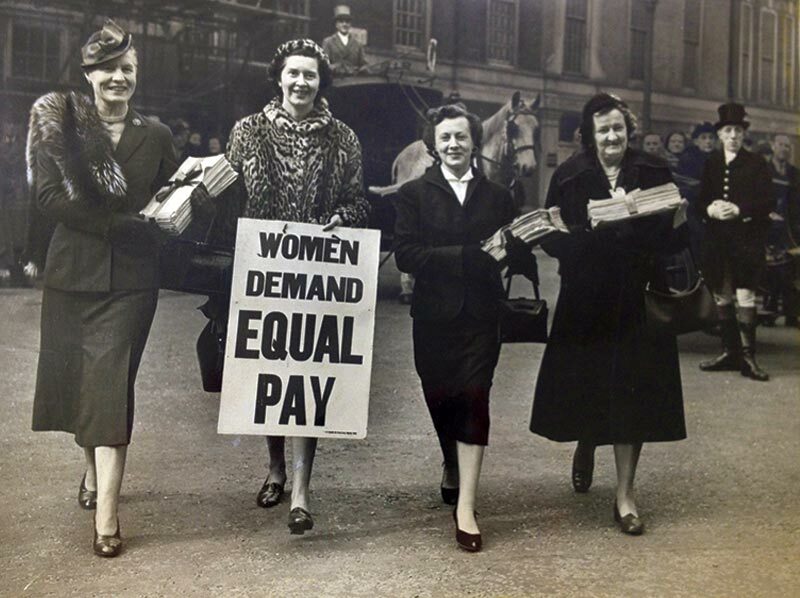 Members kept up momentum on this issue for decades and supported Barbara Castle’s Equal Pay Bill in 1970, which made it illegal to pay men more than women for work of equal value. Today the WI is still calling for employers to take action to tackle the gender pay gap. In April this year, all business with over 250 employees had to publish a gender pay audit and be transparent about their gender pay gap.